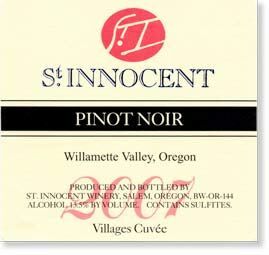 St. Innocent is a well-established (1988) and prestigious maker of Pinot Noir with a winery based in Salem, Oregon. 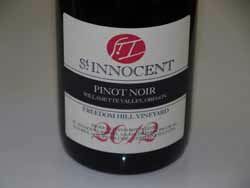 The winemaker, Mark Vlossek, makes age worthy, vineyard-designated Pinot Noirs from estate (133 acres owned) and leased vineyards. 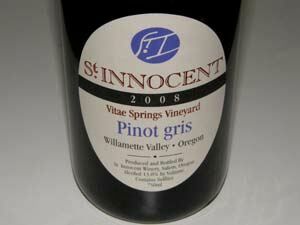 Chardonnay, Pinot Gris and Pinot Blanc round out the white varietals. 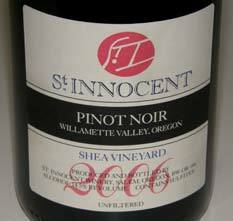 The name, St. Innocent, is in honor of Mark's father, John Innocent Vlossak, who introduced his son to the pleasures of fine wine. The winemaking emphasizes wine's place at the dinner table: complex and balanced flavors, a backbone of good acidity, and the ability to reveal complex layers with aging. Vlossak uses larger fermenters, 4 to 8 ton vessels, to better control the temperature of his ferments and allow him to tone done the fruitiness that comes with cool fermentations. 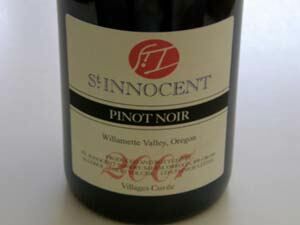 In 2006, St. Innocent Winery joined with Tim and Kari Ramey as partners in Zenith Vineyard (formerly O'Connor Vineyard) in the Eola Hills of Salem, Oregon. St. Innocent's new winery and Zenith's wedding and event facility are surrounded by vineyards like Justice, Temperance Hill and Zenith. 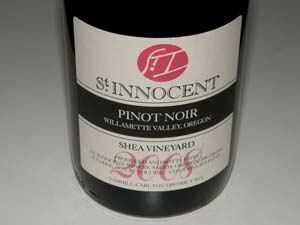 Yearly wine production is 10,000 cases. The wines are sold on the website and enjoy good retail distribution in some states.